Maine medical cannabis dispensaries saw tremendous growth in sales in 2015, increasing to almost $24mm compared to $16mm in 2014 and $12.5mm in 2013. There are 340 doctors in the state that are providing certifications to patients. Tim Smale of Remedy Compassion Center and President of the Maine Dispensary Operators Association suggests that this is about 3 times the number two years ago. Becky DeKeuster, Director of Education at Wellness Connection, the largest of the 8 operators in the state with four dispensaries, suggests that the surge is being fueled by the treatment of pain. 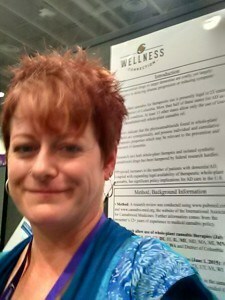 Chronic pain, PTSD and cancer are the three leading qualifying conditions at Wellness Connection according to DeKeuster, who worked at Berkeley Patients Group for six years before assuming her current position. Remedy Compassion Center serves patients that tend to be older than 50, and Smale suggests that patients are substituting cannabis for opiates.